Orange Scrub is a heavy duty hand cleaner containing high quality citrus oils and a fast working pumice abrasive. It is designed to remove most industrial soils including dirt, mud, dusts, coal dusts, oils, greases and solvents. Orange Scrub also provides natural moisturising and super-fatting to the skin through the incorporation of a lanolin derivative as well as Aloe Vera, vitamin E and jojoba oil. Orange Scrub contains a fine grade of pumice to gently remove ingrained dirt, without the harshness associated with coarser grade abrasives. 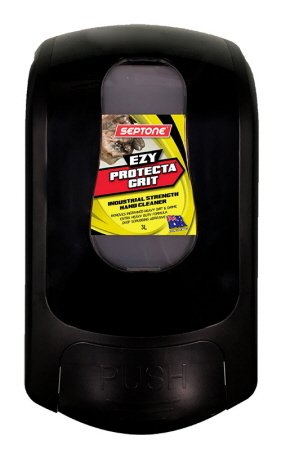 Protecta Grit is a premium quality extra heavy duty hand cleaner formulated to remove grease, oil, metal dust, carbon black, coal dust and most industrial soils.